Having the right item in the right quantity at the right time at the right place for the right price is the strategy behind an efficient supply chain for a business. In retail, the success of business is directly interlinked with the efficiency of the supply chain. 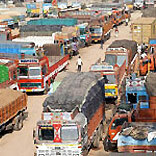 The supply chain here is a two way flow, one to do with the movement of goods and the other is the flow of information. Even the slightest delay or disruption in any of the flow can have an adverse effect on a retailer’s business. With the technologies and innovations available today, you may be able to tackle the internal problems. But supply chain disruptions can even arise without a warning. These are the unforeseen disruptions like riots, strikes and natural calamities. So the next time to you are in the process of planning your SCM initiatives, make sure you remember to take into account all the possible disruptions and their counter solutions to stay ahead in the retail race.